Just a simple weekend project to make life a little easier. 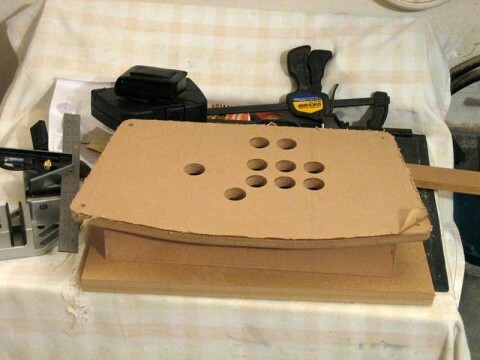 I started off with a rough cardboard mockup. 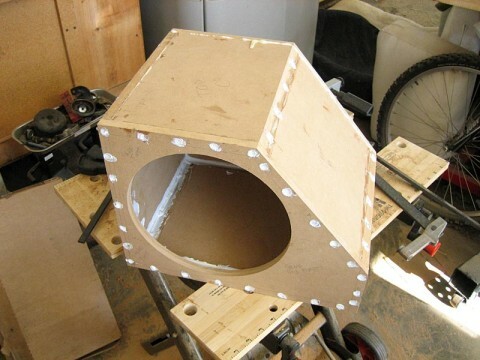 Once I found the smallest shape that met the 0.5 cubic foot of air space requirement while being able to slip inside a small nook in the hatch, I transferred dimensions over to a sheet of MDF. 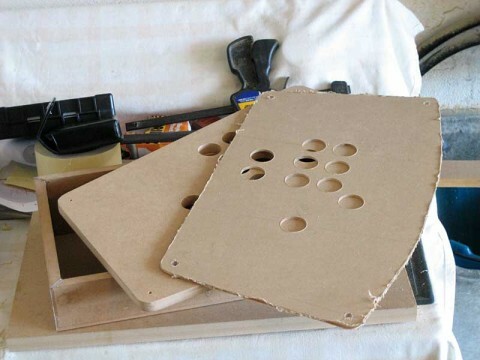 The pieces were then cut from the MDF, using my trusty sawboard (as seen in the MAME control panel project). Here are the front and back cut to shape. 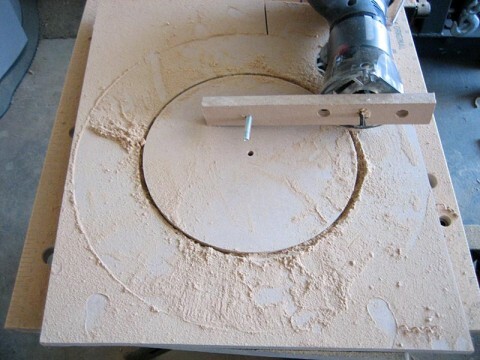 Next, using a home made circle cutting jig and a laminate trimmer, I made a couple passes through the MDF and cut out a perfect hole for the sub. I went through and cut the rest of the pieces, and started assembly. Drilled, countersank, and drove in a lot of 1″ wood screws… mostly because I didn’t want to wait for the gorilla glue to dry, and I don’t have a nail gun to hold the pieces together while they set. I could have clamped it together, but it would have prevented me from rushing to the next step… I was trying to get almost all of this done in a day, after all. I also siliconed the seams and terminal cup, any other spots where air could leak. 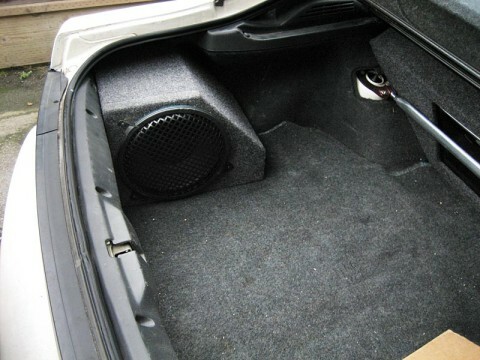 Carpeted the box up (no pics, fingers were sticky from the spray adhesive), and tossed it in. Perfect fit, and now I can transport almost 2 whole cadavers. Click here to see a few snapshots of my amp rack. 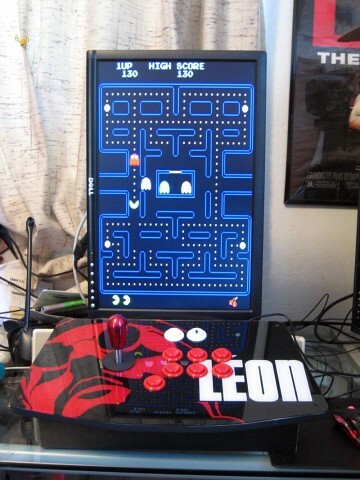 For the uninitiated, MAME (Multiple Arcade Machine Emulator) is a program that allows you to play thousands of video games from the last few decades. 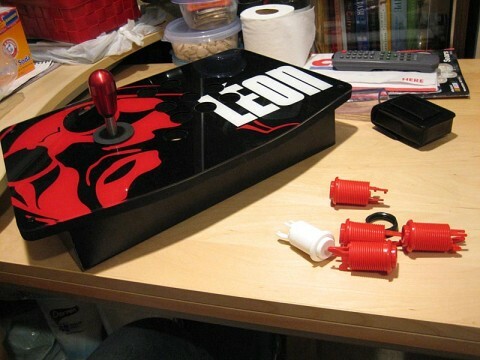 It’s only when you attempt to play most games on a keyboard that you realize the experience is nowhere near complete… Thus began my first entry into the DIY arcade controls arena. 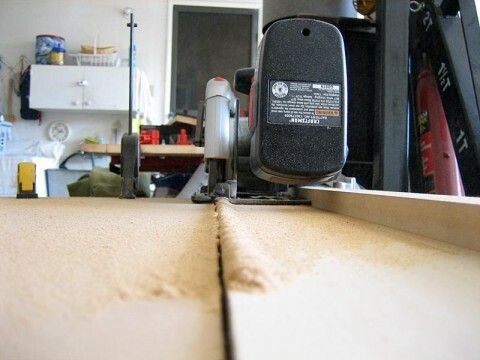 The material of choice was 1/2″ MDF (medium density fiberboard). I purchased a 4×8 sheet from a local lumber yard for roughly $20. 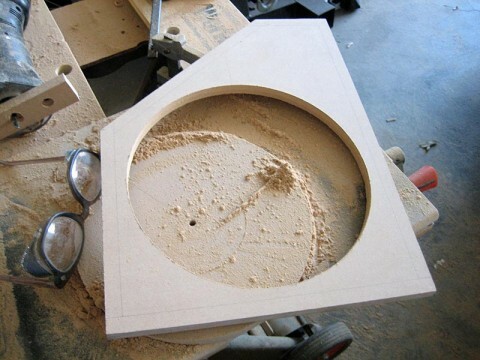 A sawboard (Thanks DrewKaree) allowed me to make fairly precise cuts with my circular trim saw. 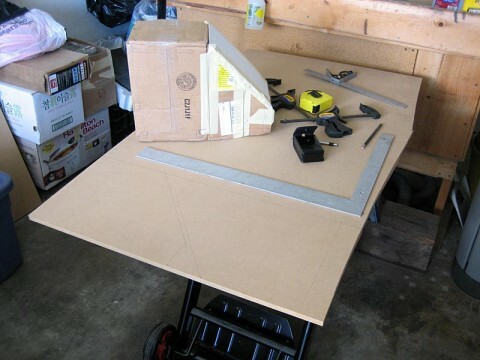 I started construction on the base by cutting the 4 sides with 45° mitre cuts on the ends. 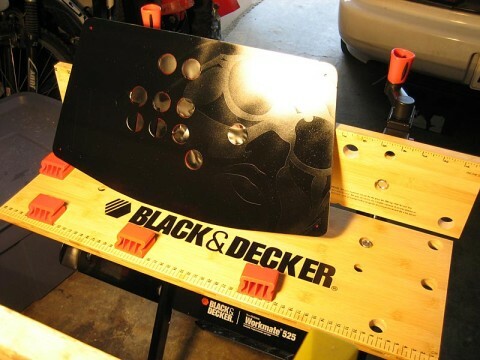 Though later discovered to be inadequate, the sides feature a mild 7° rake for ergonomics. The pieces were locked in a 90° degree clamp with Gorilla glue and allowed to dry. 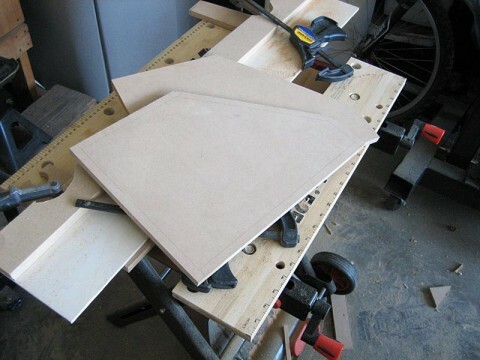 Using the sawboard and trim saw again, I then started to form the top of the control panel. 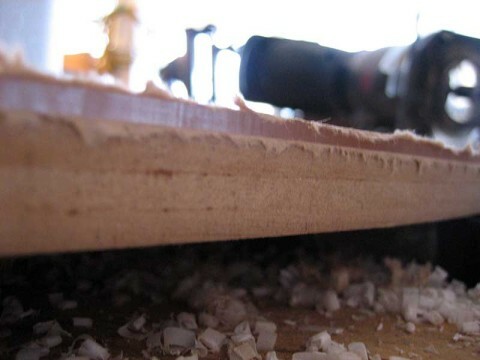 The edges were rounded with 100 grit sandpaper by hand. 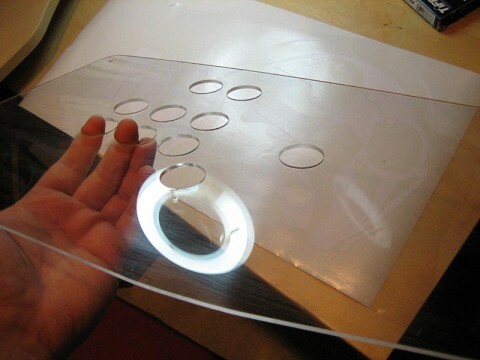 Once the general shape was roughed out, a piece of 1/8″ thick clear acrylic was clamped to it and routed flush with a laminate trimmer. Below you can see a close up of the acrylic which is perfectly flush with the MDF panel. 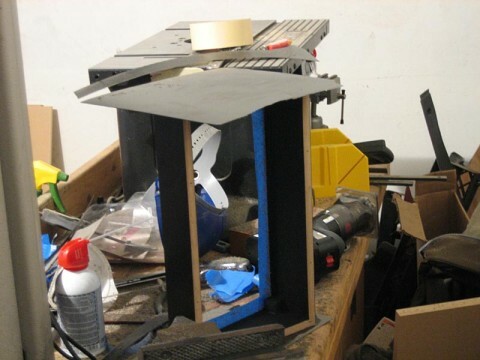 All 4 pieces of the base were glued and clamped overnight. The Gorilla glue provided a very strong bond and screws seemed unnecessary at that point. 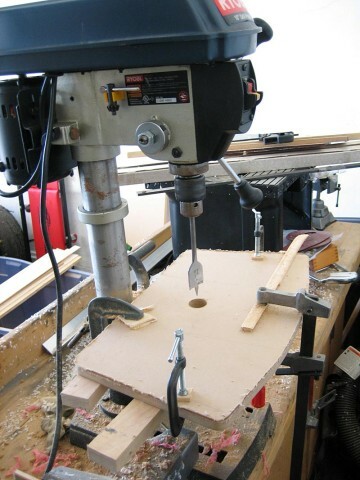 Next, a 1-1/8″ spade bit was mounted in the drill press, and I began to drill the holes out for the controls. 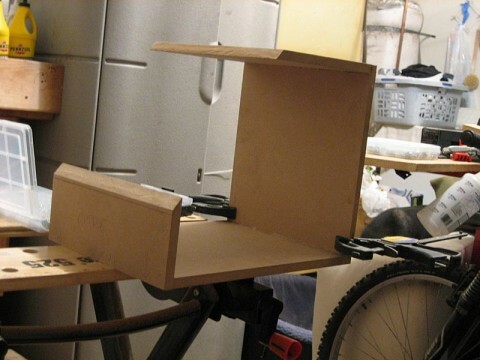 The acrylic is still clamped to the MDF at this point, just to make sure I keep everything aligned. 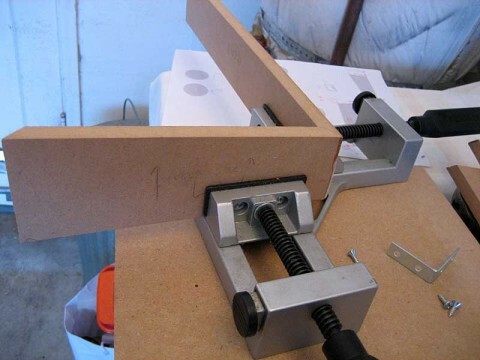 A countersinking bit was used so the screws will be flush when the acrylic panel is fastened to the MDF. 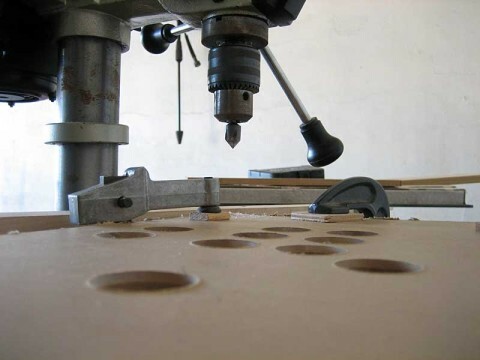 Pilot holes were drilled into the MDF panel to help avoid any possible splitting in final assembly. 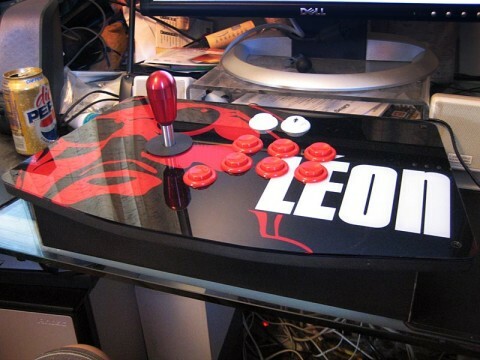 Here you can see the base, MDF panel, and acrylic panel all together. The picture below should provide you with a general idea of the direction I’m heading. 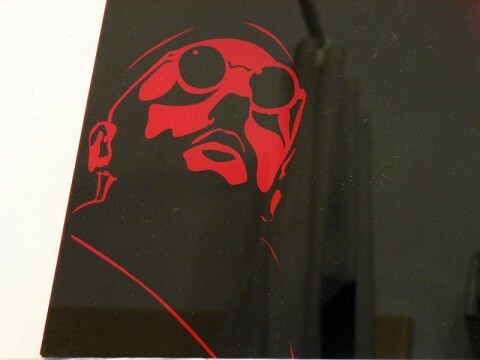 Using Adobe Illustrator, I traced out the design from the cover of the most recently released version of the Léon DVD. 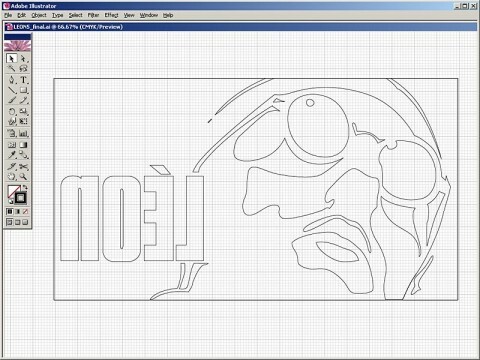 With a few tweaks I came up with a design that would suit the dimensions of my control panel. 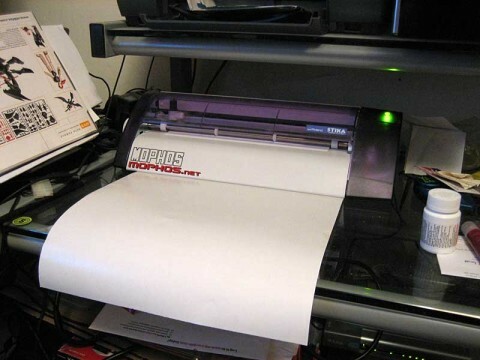 Below is my hobby vinyl cutter which will transfer the design onto Avery vinyl paint mask material. 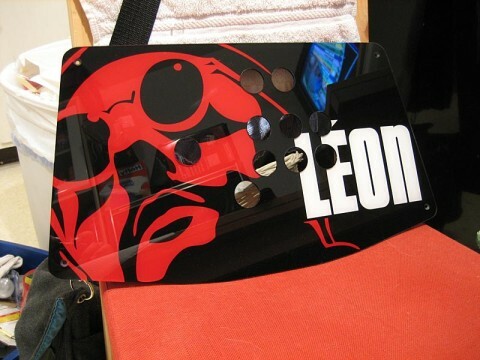 …and a test done on scrap acrylic. Everything looked OK so I proceeded to cut out the full sized final version. The acrylic was stripped of its protective paper and washed with dish soap and warm water. The underside was roughed with the abrasive half of a kitchen sponge to help with paint adhesion. 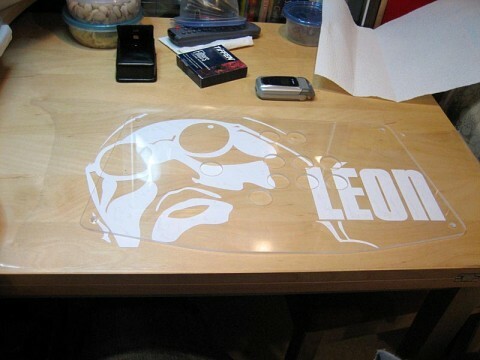 Once the acrylic was completely dry, the Léon vinyl stencil was carefully aligned and applied. Starting with a couple light mist coats, the underside was spray bombed with RC car paint. Whenever possible, I start with the darkest colors first. …and repeat the process with red RC car spray paint. 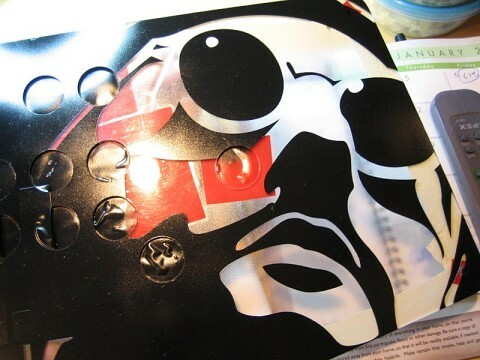 The piece is allowed to dry for another hour and I finish the painting process by peeling the vinyl on the “Léon” characters and paint them white. The completed piece is cleaned and polished with Novus compounds… looks good to me. 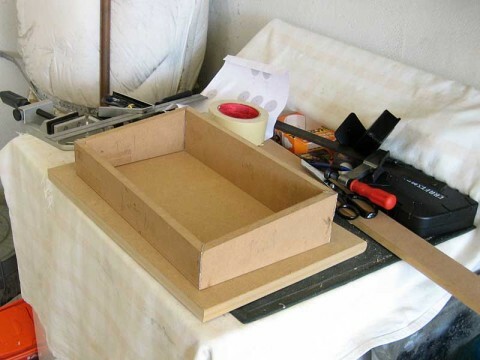 With the pretty stuff complete, I head back to the garage and prime and paint the inside of the base, and the majority of the MDF control panel top. I’ve masked a small area of the bottom of the MDF panel so I can adhere it to the base with Gorilla glue and some 1″ screws. 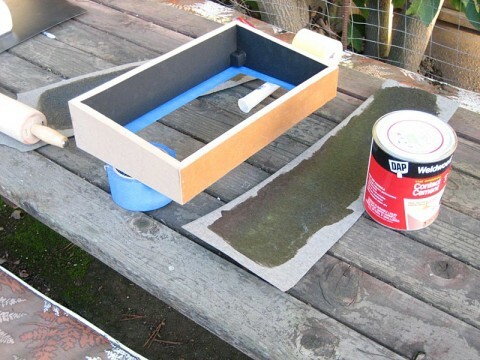 The sides of the base will be covered with a thick black Formica brand laminate. The rolling pin will be snuck back into the kitchen once complete. 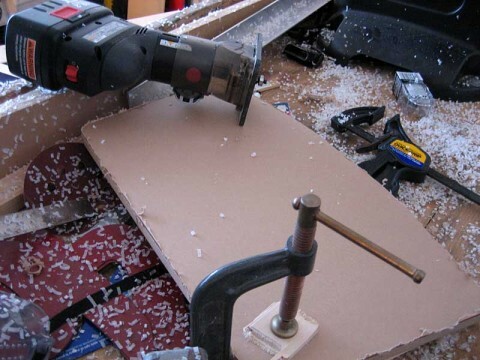 A piece of poorly cut Formica rests on the base, awaiting the fate of most laminates, trimming. 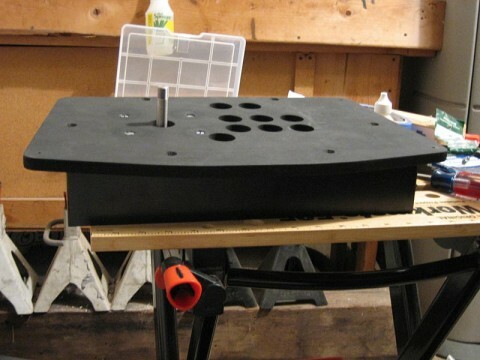 Finally, the control panel top is secured to the base. I’ve reached the home stretch. At this time I have also mounted my Happ Perfect 360 optical 4/8 way joystick. 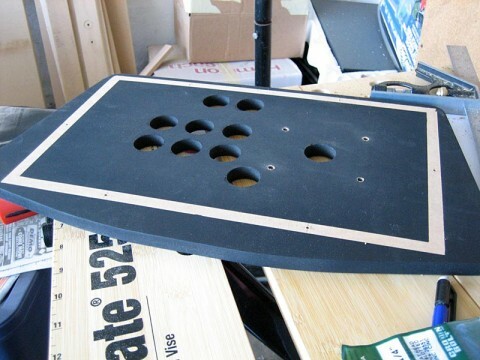 Then I head back inside and fasten the acrylic panel to the MDF, along with the anodized aluminum pear top for the joystick. 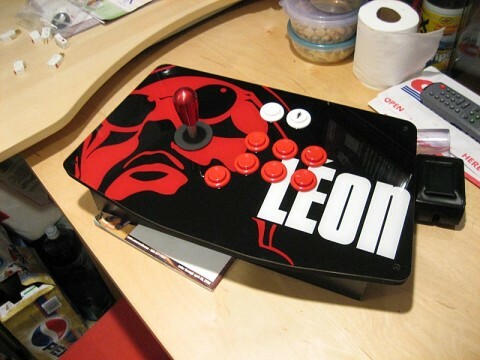 To the right are the naked Happ Controls buttons. 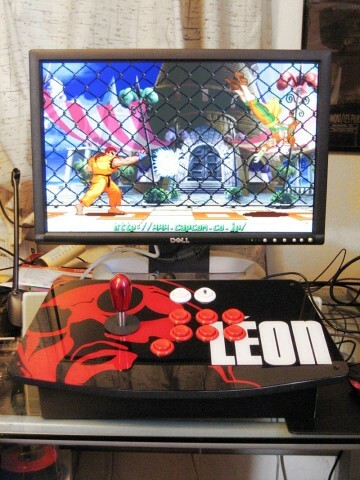 15 minutes of non-stop clicking ensued with the installation of the buttons. Eventually I scored 1st place in my imaginary game. 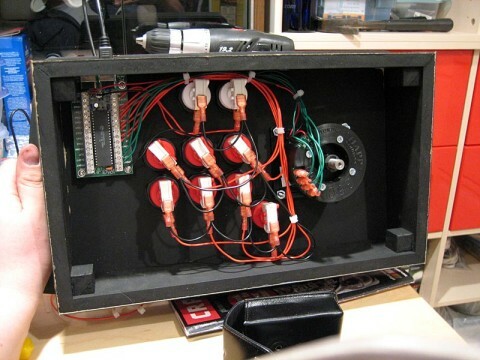 Here you can see the great I-Pac controller from Ultimarc wired in and ready to go. Excuse the rats nest, it makes a lot of sense once you’ve been working on it for a while. Oooh, ahh, complete and plugged in. And a street fighter shot, cause it’s macho. That’s all for now, but I’ll probably end up making another one and wiring it up to the second player terminals on the I-Pac so I don’t have to be a lone nerd. Thanks for looking and congratulations for making it this far.